1) Make sure you love the mixes. Mastering usually isn’t going to make an amateur or bad sounding mix become awesome. The happier you are with the mix, the happier you will be with the mastered version. 2) Remove any limiters or other plugins on the master fader that are inserted just for the sake of loudness. 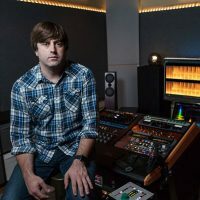 Sometimes mix engineers apply quick and rough clipping/limiting plugins to the master fader to get mix approvals, and to hear how the mix might react to mastering treatment. This is fine, but be prepared to remove it before sending off to a mastering engineer. They can handle the loudness/clipping/limiting after doing any other processing that may be needed in the mastering process. Without proper headroom, very little can be done without doing more harm than good. Also using the analog gear that mastering engineers are sometimes sought out for is usually out of the question when there isn’t proper headroom. Regarding other plugins on the master fader, if you don’t 100% love what it is doing, take it off. I have a few engineer clients that send me two versions of their mixes. One version with all the plugins used to get client approvals, as well as a version without the limiter and any other plugins that aren’t essential. 99% of the time, this is what I start with. 3) Avoid peak levels reaching 0dBFS. I see all sorts of suggestions on the internet about where to have your peak levels pre-mastering. There is no magic number for peak levels pre-mastering. Don’t hit 0dBFS, or have a plugin acting as a limiter applying a brick-wall ceiling somewhere before 0dBFS and you’ll be in good shape. This is largely for those mixing “in the box”. If you’re going analog and capturing a stereo mix back to digital, it’s actually much simpler: Don’t clip the input on the way back to digital, and don’t apply any further digital processing. Export the newly captured stereo mix at the native bit-depth and sample rate of the session. The mastering engineer will take it from there. 4) If your DAW allows (as most modern DAWs do), save the render/bounce as 32-bit floating point (REAPER even goes to 64-bit), regardless of the session’s bit-depth setting. Your DAW mixer and plugins are likely working above 24-bits even though the source recordings may be 24-bit. Check out this FREE plugin to view the true bit-depth of the audio stream coming out of your DAW. It may surprise you. It’s important to differentiate between the recorded bit-depth, and the bit-depth that the DAW mixer and plugins are working at when working “in the box”. 5) Bounce/render your mix at the same sample rate as the mix session. 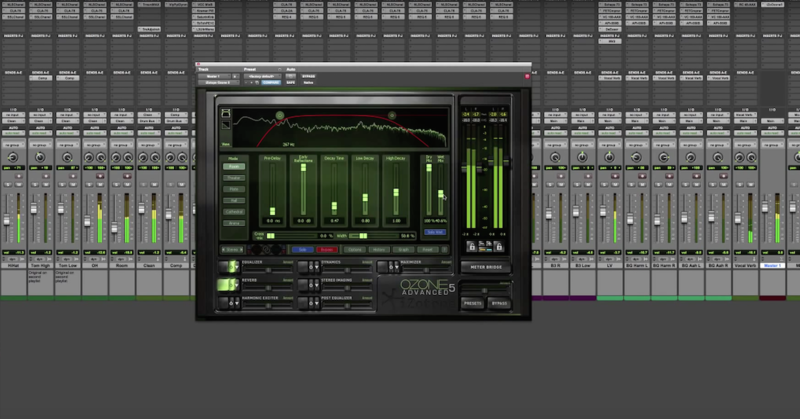 Let the mastering engineer handle any sample rate conversions with a mastering-grade sample rate converter. There is no “best” sample rate to record at, but it is best practice to not change the sample rate when you make your final mix files for mastering. The SRC in your DAW is probably not awesome, so don’t use it. 6) Carefully listen to the beginning and end of each song for stray noises and anomalies, and remove anything you do not want. I said carefully. Close your eyes, use headphones. Doing a separate more analytical listening session before sending off for mastering can be very beneficial. 7) Listen to the vocal tracks in solo mode to check for any clicks, ticks, thumps, plosives, headphone bleed, and other sounds that might be masked by the rest of the track but not intended to be in the mix. Vocals seem to be the source of most unwanted noises in a track from my experience. These things are not always easily audible prior to mastering in the context of a full mix when the mix engineer is busy worrying about more important things. But, they can become more noticeable and unnaturally loud after mastering. Take my word for it, they’re much easier to hear in a mastering room with low noise floor, and a transparent playback system. It’s common for me to remove at least a handful of random clicks/ticks/pops and other nosies using iZotope RX5 on any normal mastering project, even by some of the best engineers I’ve mastered for. It’s not hard to remove noises and things, but it’s always appreciated when it’s minimal. RX5 is a life-saver in my opinion but it’s always nice when I don’t have to use it. 8) If you think there is any chance that instrumental versions of the songs will be needed, make them right away. 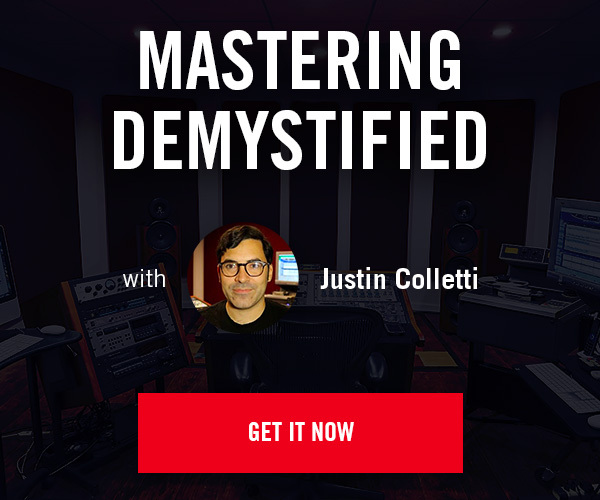 It’s not hard to master instrumental mixes at the same time the main mixes are mastered. Going back to do instrumental masters at a later time can be more time consuming and costly. Also, in cases where analog gear is used in the mastering process, doing the main versions and instrumental versions at the same time ensures much better continuity between the two. 9) Leave a few seconds before or after the song to include any potentially problematic noise (hiss/buzz/hum/room tone). Having a noise profile/fingerprint allows the mastering engineer to do some transparent noise reduction if needed. Quickly fading out any noise, or cropping the heads and tails of a song very tight usually prevents any transparent noise reduction from being done by the mastering engineer. Trimming the heads and tails during mastering takes hardly any time at all, but having some of that noise floor to work with can be very useful. Leave it in. Sometimes I’ll apply some light noise reduction on just the very beginning or very end of a song as the last note sustains, but not on the entire song. Having some noise to sample from is essential. 10) On a similar note, make sure your bounce/render timeline selection doesn’t cut off anything at the start or end of the file. This happens quite often for whatever reason. It never hurts to leave more space on both ends to be safe. Trimming is easy, finding a problem like this at the 11th hour is not ideal. 11) Check for bad edits/crossfades causing clicks and pops that you may have not noticed when you’re in the mixing zone. This can be done using both your eyes and ears. 12) Give the bounced/rendered files a name that is easy to comprehend. I always avoid using the word FINAL. It’s bound to not be final and then you end up with something like FINAL FINAL REALLY FINAL FIXED (copy). Using dates in the file name can also be a little confusing to look at as everybody has a slightly different dating scheme. Computer files have time/date stamps anyway, so I always prefer a simple V1, V2, V3 etc. for each version. It’s short, sweet, and very clear. LISTEN TO THE ACTUAL BOUNCED/RENDERED MIX FILE TO MAKE SURE A PLUGIN OR DAW GLITCH DID NOT OCCUR BEFORE SENDING TO MASTERING. It happens way too often: I’ll send a master back to a client, only for them to find out that a plugin in their mix session had an error that wasn’t happening on playback, but managed to occur during rendering/bouncing and they didn’t double check it. Had they listened to the actual file, it would have been an easy fix. Catching it after the mastering has been started can be a headache, especially if the mastering engineer is using analog gear as many do.